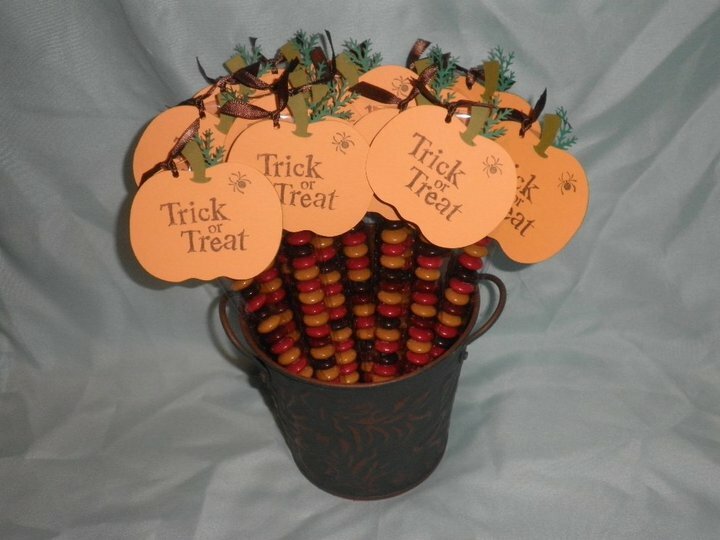 Paper Crafts by Candace: More Halloween Goodies..
More halloween goodies for the consignment shop and craft fairs! These are Pumpkin m&m sticks. I get the bags from clearbags.com. The pumpkin's are cut from Create a Critter. I also used a Martha Stewart branch punch to add to the stem. "Trick or Treat" and the spider are stamps. My favorite Halloween goodies so far are these Ghost's. These are Carmel Apple Pops which I covererd with paper and decorated. I glued wiggly eyes on them, 1 big and 1 small. The ghosts are from Mini Monsters. Those are so adorable!!! Great job! Super cute!!! You did a great job on them. Thanks for sharing with us. These are both so cute, but I just love the ghosts. I love the different sized eyes, what a fun and fab idea! These are amazing! I bet you sell a lot at the craft fairs. These are adorable! I think I'm going to try making something similar for both of my kids' classes this year. Your projects are just great! 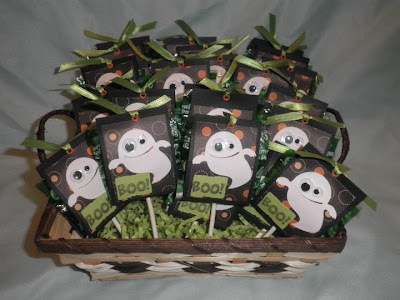 I tried to find the bags that you used for the Pumpkin M&M sticks but cant figure out which ones they are. Can you give me the name of them or dimensions?